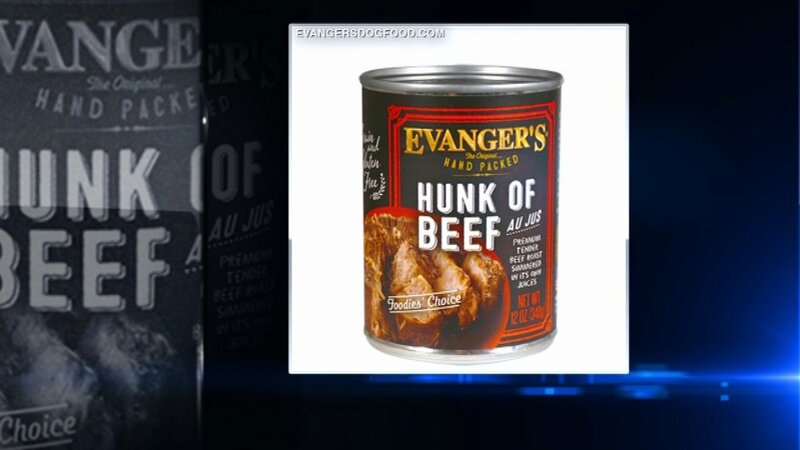 WHEELING, Ill. -- An Illinois company issued a voluntary recall of its dog food that was linked to illnesses and one death. The potential contaminant, Pentobarbital, was detected in one lot of Hunk of Beef Au Jus. Pentobarbital can affect animals that ingest it, and possibly cause side effects such as drowsiness, dizziness, excitement, loss of balance, or nausea, or in extreme cases, possibly death.